This is the sequel to one of the best known Half-Life mods. It continues the original storyline. If this mod is new to you (What part of Mars were you on?) you can find the original here: Poke 646. This is July 2015’s Classic of the Month mod. 14 new single player maps, continuing the original storyline and letting Damien Reeves take the revenge he was seeking at the end of “Poke646”. 3 action-packed chapters take you to many new locations (such as a giant space station or secret Poke646 research labs in the outskirts of Nation City) and even let you revisit some spots from the original “Poke646”. The futuristic PAR-21 assault rifle, equipped with a grenade launcher, adds more firepower to Damien’s already deadly weapons arsenal. Tons of new textures, models and sounds create a unique and convincing game world, waiting to be explored. A brand new soundtrack enhances the atmosphere and underlines each chapter’s mood. Extract and run the poke646_vendetta.exe installer and locate either your \SteamApps\[username]\half-life or \SteamApps\common\half-life folder (whichever is relevant to your particular Steam installation) when prompted. 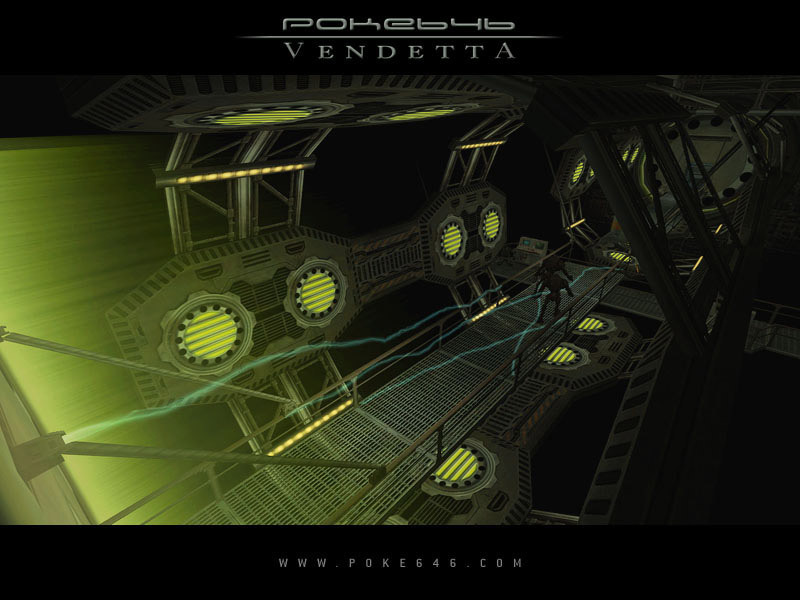 Poke 646 – Vendetta should now be listed in your Library tab. The playthrough below is part of the Classic of the Month Event, run by Don AKA Unq. Click on the thumbnails below to open a medium size image. ALl images taken for the official homepage. Statistics based on 13 comment(s) with meta review data. Does it require a walkthrough? I don’t think so.If I can do it without one anybody should be able to.Does the mod make you think?Yes,but not to hard.Most of the time if you need to think about where to go next,just go back the way you came. Very smart & stylish mod, a lot of work has clearly gone into it, but I agree with both of the above comments, it is far too short and not over difficult…still, well worth the download. I agree with everybody so far. Just out and out excellent. And yes, it is far too short. It is a keeper. I’ve just downloaded and completed this mod in under an hour and I have to say I loved it. There were no bits that made me want to give up due to frustration, plenty of fun arena battles and overall it just felt very well put together. Now all I’ve got to do is play the first one (guess I should have done that first). Expect a review on my blog soon, I’ll email you Phil to let you know. Ok I dl’d the mod and unrar’d it, the readme say’s it’s made for the Steam version of HL1! I have the Steam version installed, normally I don’t use the Steam version, I use the Serria version and have No trouble with installation! I copyed the Vendetta folder to my Steam HL1 folder and mygames won’t pick up on it! So what am I doing wrong?? 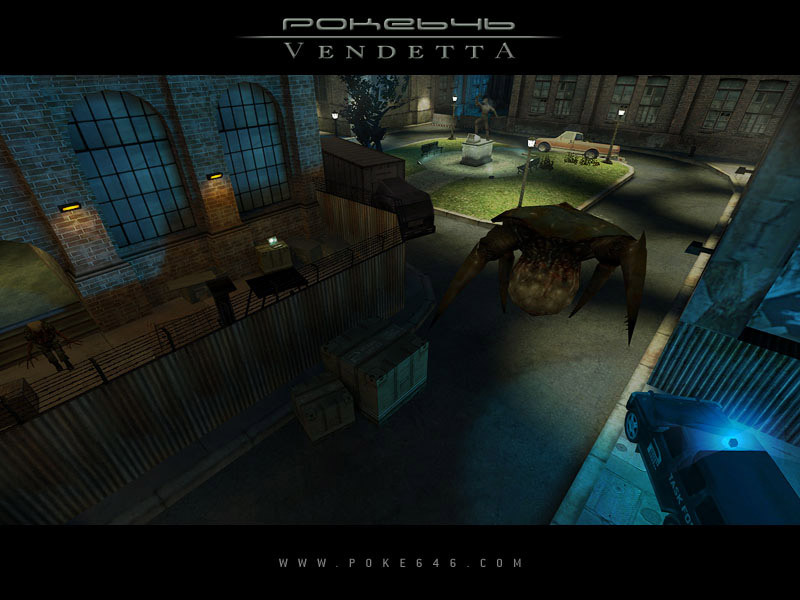 In your My Games list it wont be under Vendetta.Its listed as Poke646:Vendetta.Just incase you didn’t check that.Not sure why it wouldn’t work if you restarted it.It worked fine here. On another note since you brought it up,this mod was made for steam using the source engine.But I have played it briefly in the original HL1 setup and experienced no problems.The readme maybe just covers thier butts incase alot of people complain about it not working. EDIT:You say unrared.Its an exe self installer.You dont unrar it. I got the file before it was on this site and it was compressed using zip. I use WinRar on all my compressed files, and that’s where the exe file was. I also played it with the original HL1 and this is the first mod that has crashed my system!!!!! BTW, andyb, did you put the Vendetta folder in your Steam HL1 folder or the sourcemods folder?? Despite the short length. This is simply the best single-player mod ever made for Half Life 1. Half Life. It’s been out eight, nearly nine, years now. Still one of the best games ever, but seemingly eclipsed by Half Life 2. Recently I played Someplace Else, a mod for HL that’s been around for a while, interest only kicked up because of the related mod series for Half Life 2, and I thoroughly enjoyed it. Sure, the graphics might be a bit dated, the sound effects a tad tedious, but at the end of the day the plot and gameplay were better than most recent games I’ve gone out and bought! I thought that all the good mods for Half Life 1 had already been released, long gone stagnant in favour of its new, flashier brother. But I was wrong. Poke464 recently released their new mod for HL and it is killer. You see my PC was bought mainly for work, and as such lacks the graphical power required to play most modern games. This forced me to give up favourites like Far Cry and Halo and switch back to the classics I first started playing. Counter Strike 1.6 is my most played game currently, due more to the fact that CS: Source has been butchered so badly I couldn’t take playing it any longer. So, with a new PC, I went back to the old games. Half Life, Blue Shift, Opposing Forces, even Hitman and Aliens vs Predator. And after I’d finished with them I started hunting for mods. There are the main ones, Natural Selection, BrainBread, but I found them lacking after a while. I wanted single player action. So I eventually found Someplace Else, enjoyed that and then couldn’t really find anything else good for a while. 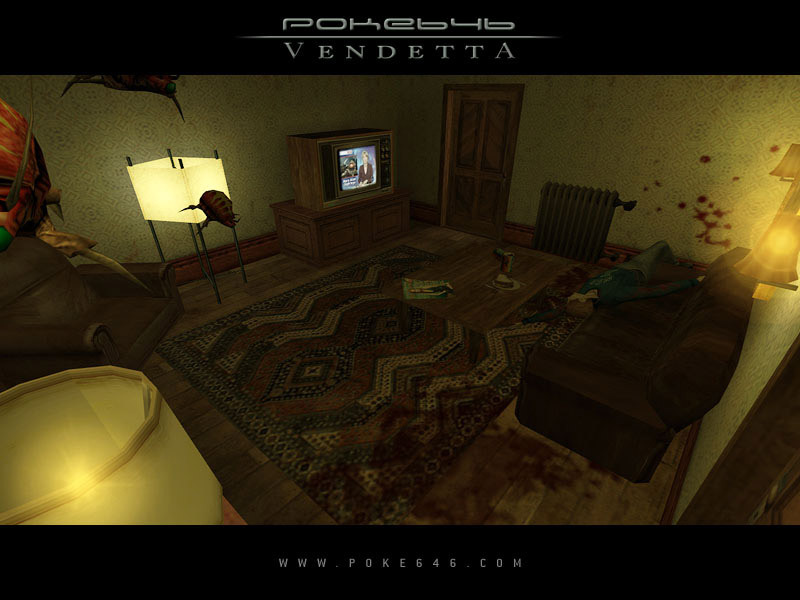 Three days ago Poke 464 released a sequel to their first game, called Poke 464: Vendetta. There are often multiple ways to fight; the stupid way or the smart way. I’ve never played Poke 464, the first game, though I’m downloading it now, but if the sequel is anything to go by it has got to be good. Vendetta picks up where the first game left off (I assume). Trapped in a crappy Zen world you have to somehow make it back to Earth to stop an evil doctor who left you to die and is now planning to nuke an entire city to hide his mistakes. The story isn’t really all that important here, you’re mainly going to shoot anyone and anything in your path and hope to make it to the next area. Battles are weighted perfectly, supplies right where you need them and the level design is some of the best I’ve seen in any game, commercial or free. For example; taking a train journey (not as long as the ones in HL for which I’m grateful) you eventually arrive out of the ground into a glass tunnel, the enemy HQ looming ahead. It’s brilliantly done, everything fits and makes the whole place feel real. And once you get inside the action never lets up with innovative problems I’ve never seen in any other HL mod. Laser grids tied to turrets, cameras, even portals (yes portals as in Portals, but only one). The whole thing feels like a frantic battle to survive, effortlessly transitioning between outpost worlds to cities, libraries to sewers, yet it never gets too much, never leaves you frustrated for long. If anything the game is too short and too easy, especially compared to Someplace Else which took me a good while to complete. The custom weapons (of which there are five) all have their unique purposes. There aren’t the usual ten pistols, five rifles and multitudinous grenades, here you have a pipe to hit things, rifle to shoot things, shotgun to blast things, crossbow to snipe things and a stick of dynamite which comes in mighty handy with some of the bosses. And that’s something that I missed from previous HL mods, the obligatory boss battles. Although there were only two they each felt perfect in their composition, and the final fight did make my jaw drop, something I haven’t felt in a long time. Considering the shortness and also limited variation in enemies, this game felt in no way stagnant or hastily put together. It brought back memories of Half Life I’d long forgotten, the head scratching puzzles, sudden surprises and also new elements alongside. Laptops providing information, cameras tied to turrets, and a lot of innovation on the developers part. This mod really does breath new life into something I thought was all but dead. 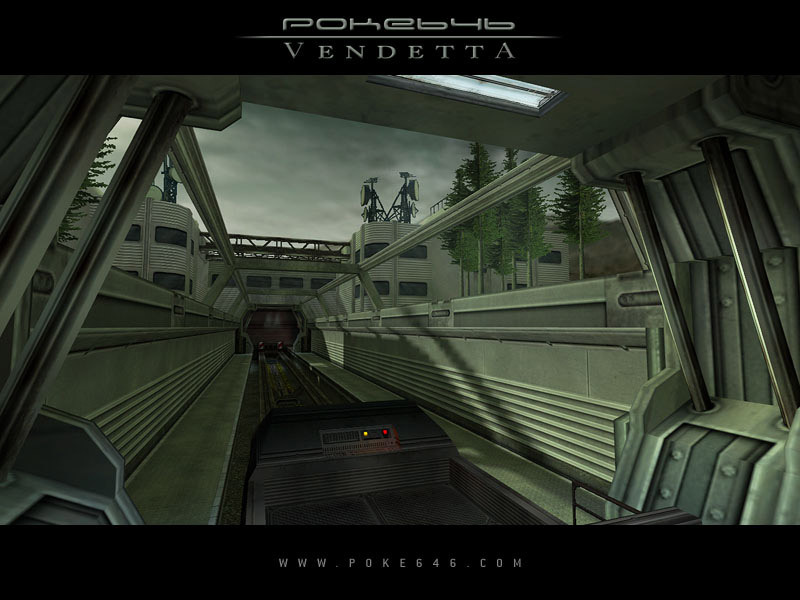 Poke 464: Vendetta might have an unusual name, might look a bit dated and seem a bit abstract, but give it a chance. This is one of the better mods I’ve played and if people are still making new content for an eight year old game, I think it definitely has some life left in it yet. This review was written by Luke Lanchester and first appeared on Hybrid Logic and is republished by express permission. This is an absolutely great mod WELL worth the download. I feel absolutely terrible for you, Phillip! You gotta play it! I played the first one 5 years ago when it came out, and I must say everything about it is amazing for an HL1 mod. There was even a part in the space station where I thought I was playing an hl2 mod. The enemies are well placed, the ambience and atmosphere are both god-like for the hl engine, and the music is spectacular. I played it on hard mode and it was pretty challenging too. The story is fantastic as well, with some interesting notes lying around as you move forward. I don’t want to spoil the ending, but anyone who has seen it probably had a smile on their face. Remember to look around at the books on tables and everything– they’re pretty funny. What I didn’t like? I don’t know. Maybe the automatic gun (steyr aug w/ m203?) didn’t sound powerful enough. And it was a little short. Yup. That’s it. I’m one to think you shouldn’t compare this to new games. If you’ve never played the original, you’ll still love it. Even if you’re not a fan of the old engine, you’ll still love it. The Poke646 team should be very proud– It’s free. It’s impressive. It’s great. Download it. NOW!!! Phillip! You gotta play it! MAN!, now you are teasing me. For those that don’t know, I had my Steam account hacked yesterday and will be spending the Christmas period waiting for Valve to respond. No Valve games for me for a few weeks! AI I used the self installer that put it in the right spot.It makes it’s own folder.If you used winrar did it make an extra folder?If so it wont be read.Winrar makes folders by default. The design and texture quality is GOD DAMNED AWESOME to the point of GODDAMN THAT’s AWESOME. And you will shred a tear for the length. Still… You’ll be satisfied with a second …or a third, well maybe a fourth play like me in the release day. OMG, that is so kind. Thank You. Andyb, THANKS!! your message #16 gave me the clue to the problem I’ve had ever since I’ve had Steam installed!! It was the directory structure, yours said “half-life\vendetta” mine said “half-life source\vendetta” see the difference?? the mod sure did!! I took out all the half-life source files and installed my Serria version, but that wasn’t the best part, when I entered my “OLD” cd serial#, Steam told me I have the Platinum version and I got the whole set!!!! Half-Life, Opposing Force, and Blue Shift! All in all a big surprize!! OOPS a little off track here, but I used the self installer this time, and it went right in and works just fine, nice graphics!! See,lesson learned, “OLD dogs CAN learn new tricks” Thanks again!! Old dogs can learn new tricks;) I find that out everyday since I’m no youngster myself.Merry Christmas. Pfft. Be cooler if we all pitched in our money to buy Phillip his own full HL2 and HL Steam account. That’d be a christmas present, eh? Yes it would but since his case with valve is being reviewed would it not make more sence to await an outcome of that? Be cooler if we all pitched in our money to buy Phillip his own full HL2 and HL Steam account. You guys rock! Thanks for the offer. You have made my Christmas! I was not really impressed with Vendetta. Its far too short! I understand that the developers wanted to tie up loose ends, but it hardly seems like a gut wrenching revenge plot. Your character is not really put into any massive amounts of danger throughout the story. Could have been better. Maps look great though. I thought the same thing as you, also, what the hell happened to the Xen invasion? lots of plotholes ar scattered around through adventure. But on the other hand, this mod is focused in the tecnical capabilities of the Half-Life engine more than in the literal side, they don’t have a writer in the team (and even they did a great job with the writing, it’s immersing as the whole game), and this is a good excuse to leave the last chapter (Vendetta) as an intense action-packed game. And good lord I’m very grateful that they release it as it is, because at least, they did it. Yeah that’s one thing they didn’t really explain. I thought Reeves stopped the “invasion” after he blew that generator up at the end of the first one. The aliens were being teleported randomly and unwillingly, right? I thought in the first one it explained this– remember they wouldn’t attack when you went to Xen? Maybe, due to the ending, there will be ANOTHER sequel! Except, this time, Reeves is a complete stranger in their homeworld, that could be possibly why they don’t attack you, and is very complicated matter the one I’m trying to explain here, the main question remains, who attacked first, us or them?. Without a writer is very hard to get a clear conclusion of everything, but that isn’t a bad thing, with remaining unanswered questions they become more interesting, leaving us, the fanbase, discuss with theories and thoughts, which I love to read and write. Maps & graphic design are clean & polished. They paid alot of attention to detail. I’m just starting chapter 3. So far, I’m very impressed although I would like to see more action. Maybe there will be more to come. I read their “warning” on the website to play in steam & that if you played it in regular half life, it was buggy. I’ve been playing it in regular half life & have not had one single problem occur. Definitely a mod for eye candy. OMG! That damn HEV robot was cool as hell! I can affirm cabosdobrasil`s posting. for a place under the best SP-Mods for HL1. This is cabos. Actually, I would consider it to be one of the best. Just too short. Excellent mod. Played it with non-steam HL with no problems (actually 1 tree texture looked strange). Was longer than what I expected. I played through it today. It was very awesome and I enjoyed it very much. Don’t push me! Another cracking mod from the Poke646 team. Nicely plotted all the way through from Xen back to earth. Very professionaly done and, great fun to play. the vendettia has been settled. I look forward the working with that guy with the breif case. I heard he takes real good care of his people so says a guy named gorden. hehe. great mod look forward to the next installment. I had the same problem as AI in comment #9, and my directory says “half-life source\vendetta” too. AI seems to have found a way around the problem, but I’m not nearly as computer savvy as him. Is there any alternative solution to this problem? I’m really bad with this kind of thing! Soooooo excellent… but sooooooo short… This mod does a good job of tying up the Poke646 storyline. What’s more is that it’s even more beautiful than its predecessor. Anyone who read my review of the original Poke646 knows that I was a bit dissilusioned with it; it felt “fake” to me. I’m pleased to announce that the sequel suffers from no such problem! The maps are amazing, especially the first few levels spent on the Poke646 Orbital Research Laboratories. Unfortunately, this environment wasn’t developed to its fullest extent… there was a potential for a number of interesting environs, and while a few did feature (like the gravity spool chamber), I felt that there could have been more. Once off the Orbital Labs, you return to Nation City, which is just as beautiful as ever, and also make a triumphant return to the underground bunker, which is a fun level to navigate around in. One of my favorite parts of the mod, however, was the new assault rifle. Everything about it felt high tech and powerful, and even though I couldn’t carry around as much ammo for it as I would have liked, I found that I always felt satisfied after using it. Kind of a strange sentiment, but it just goes to show how great this mod really is. Exelent sequal to poke 646, sweet levels, gameplay, and story. A very stable mod which I want to see in hl2 engine in future too. Congratulations to makers. In-city places are excellent I think. There may be new enemies, aliens etc. Finally I celebrate you again. Another quality game from the Poke646 Team, not quite the depth of the original, a couple early frastrating jumps and too much read message hit buttons type play, however the quality of design is there. I’m stuck in the sewers open up the gates where the gas pipe explodes and droped down back into the sewer but can’t find the damn entrance through the ones that opened? There should be a ladder down there and you climb up it and break the fence where the crate is. Hi guys!I need some help: I am in a underground laboratory with sentry guns over my head…I destroyed all the enemies (guns and aliens) and have picked up a key for Level 1…there are only doors on fire and I don’t know what I have to do! I hope it’s the good number! Thanks for your help and sorry for this late answer^^! Once you have the level one key follow the corridors around until you find a corner where the floor is on fire(its not far from where you got the key).You need to get past the fire to open the level 1 door beyond. Yes what should I do with this…I tried to jump from the crate through the fire but it doesn’t work! I will try to move it or to destroy it :s This passage is really heard! I finished the game last night and thought it was very enjoyable overall – that ladder was pretty obvious once you knew it was there and I’m surprised I couldn’t see it before! I’m also playing Residual Point at the moment which is another good HL modification if you have not tried yet? I have not played but a handful of the HL1 mods . I’ve been working my way through HL2 and have not gotten to the HL 1 mods yet. So, I can’t compare this to other HL 1 mods fairly, except to say that the great HL1 mod by Adam Foster called Someplace Else ihas to be a close resemblence of this one. I don’t know which is best but they are both great. This one has so much good stuff going for it that it’s really hard to remember everything I just played through. It has it all! If there is a perfect mod thiis is it! The action is plentiful with enough ammo most of the time to take on all comers. The lighting is good and no flashlights are needed and I don’t think they are even available. The story is great with the player doing the same thing as in part one of the story. You are given instructions and orders via laptops along the way. You have a set mission to acomplish and there is a start and a good ending to this one. I like this so much I’ll keep it loaded and play it again as well as Poke 646-The maps in this are absolutely beautiful with alot of care going into the art work and lots of detail. These people did a fine job with this and they should also be getting a call from Valve to go to work. I think this is every bit as good as Adam Fosters work. If these authors were to do a mod using HL2 I’m sure it would on the same par as Minerva. It’s just that good. I had no technical problems at all and it played through perfect. This is the way to make a mod and they deserve all the credit due for a wonderful job. I feel like I just got to enjoy a game for free that had it been in the stores it would be selling real well. If it was longer, I should say. If Poke 646 and this one, which is part 2, were put into one package, it would sell real well. I’m just glad we have the chance to see this work first for free! Not too far into the game. and not sure how to locate the map number, but I am in a big room with catwalks and rotating cylinders. the only thing I can think of to do is to run across the top of the rotating cylinder to the door. But after a gazillion tries, I keep dying, falling into the electric field below. Any suggestions? Couldn’t edit my comment/question…but never mind…I made it across after another batch of tries. Now I just killed the crab mother, but the flying heads are killing me over and over. Any suggestions how to survive the baby crabs and the flying heads? not sure where you are but the save/load menu usually gives a clue.If you have console enabled it will say the map numer in the uper right corner of the screen when you hit the tilde key. Thanks Andy for reminding me about the console. The screen is pv_ntc03. I just killed the Gonarch, and she is on the other side of the fence. I am on the top of the little truck and when I jump across to the street, I am swarmed by baby head crabs and toasted by flying heads faster than I can get shots of with my seriously dwindling ammo. I did find a med kit, but too little too late. Thanks..don’t want to use god mode. Doh! Sorry about that…found an open manhole. After running around madly dying I fell in. Oops! Just can’t get that “Edit Comment” command to work. Says I don’t have permission, then I have to log in again and lose the page, taken to dashboard, return and have to enter a new comment. How can I remedy this? Save the game after enabling cheats then reload it or wait for a map change.Then try god mode or whatever.HL1 maps are not the same as hl2.They require a reload or map change. For your login problems it would seem to me that you have a block cookie setting to high so it can’t remember..
Bottom line: Bested by its predecessor, unless you really hated Poke646’s heavy emphasis on ammo conservation. A point docked for: Shortness (sub 3 hours on this latest play), relative lack of the unique humor and innovation that was the mark of the Poke646 “tradition,” replaced by a rather out-of-character hatred-and-dumb-conspiracy plotline, and lack of epic plot elements (although it makes more sense to be fighting soldiers this time) and fights. The game seems to send conflicting signals about whether you should conserve ammo, as well: Most ammunition types are highly limited, but you’ll still be unlikely to go through all of anything but assault rifle ammunition until the end of the game. My suggestion is to play with a health-conserving style; don’t worry so much about conserving ammunition, at least on Medium difficulty. Use the crossbow against stationary enemies; I saved it for a rainy day that never came, sadly. Details: When did Dr. Fuller become such a jerk? I replayed this the other night BEFORE going back to the original. I believe this was the right choice. I find the visuals and few pieces of music awe-inspiring for the most part, but there’s some stuff carried over from the original Poke 646 that I would rather have seen improved – and, rather strangely, some familiar stuff is dropped entirely. Removing the Xen Squasher is pretty unforgivable, for instance. Maybe nobody else misses the nailgun. The assault rifle is definitely a straightforward weapon to use, aside from the ammo limit – I suppose it stands to reason Mr. Reeves can only carry four magazines in reserve (30 in weapon, 120 in reserve). What bothers me, then, is that this primary weapon through much of the game is too straightforward and the enemies that carry it will steadily chip away at your health if you use it on them. By comparison, in the original game there were three distinct nailgun fire modes, and each actually had a purpose when you tried it out, and many areas were large enough that you could use a nailgun in a pinch against almost any enemy with success. In Vendetta it seems odd to have one grenade launcher grenade for each 15 rifle bullets, especially when there’s only one place where you could need that much (more on that in a bit)! There’s a smattering of jokes through some levels and a short note trail which tells a bit of story, similar to the original game, but I miss the “physical humor” – you just can’t beat the Xen Squasher’s eating animation, or the hilarity of conducting a successful campaign with a nailgun for a primary weapon. As mentioned before: A few soldiers pop up that you’ll either need to lob a grenade into (pull the sights way up over where you think it’d land; it drops very quickly compared to HL- makes it hard to use) or shoot a bunch of times with the assault rifle while taking unavoidable damage (there’s the crossbow as well, useful especially later on when health gets scarce, although I don’t remember how much crossbow ammo there is). The shotgun didn’t really seem needed most of the time, especially when it doesn’t instant-kill soldiers. The ammo balance doesn’t seem so carefully planned as in the original game – here saving ammo doesn’t seem highly rewarded. There are some good fights against mostly small groups, but I felt like they were mainly in the too-short Nation City return level; there’s nothing terribly memorable in my view. They really should have pumped up the enemy count and increased the size of certain areas – just raised the minimum specs overall since most people playing this game in 2006 should have easily met them. It’s really strange that the endgame takes place in a very small room, and what’s more there isn’t stuff you can hide behind without getting trapped by the boss. I found myself shocked, after beating that final boss (and after a false start when I got trapped by it), that the game was already over. Both times I’ve played I was expecting something more. The ending is very nice, however, and is one of the parts that feels the most like a Poke 646 game. When I first played the game I had lots of problems not being able to find ladders in certain areas. This time I didn’t really remember the map layouts coming in, and I remember using noclip a ton in that first playthrough frantically looking for the solutions to puzzles and possibly even bypassing some outright. This time I got through it in just under three hours (going by screenshots) on Medium difficulty. Perhaps I’m just a much better player now than I had been before. 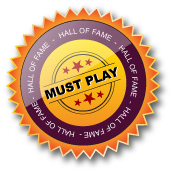 That said, the game’s high level of quality recommends it to the HL fanatic and even the casual player for a go. It’s just a shame that most of the work seems to have been put into the architecture. Love the new music, by the way – orl.mp3 reminds me of a mix of Diablo / Vampire the Masquerade: Bloodlines music / Fallout (the ending of the track). Maybe a better comparison would be Paranoia, which is about a year newer than this game. My least favorite sections were all at the end; including a certain vent I failed to find for the longest time on my first go-around a few years back when this was released, and the claustrophobic final battle. I also felt the tram section was pretty awful; you can’t just rush through it and it’s not at all as exciting as I’m guessing it was planned to be. This would’ve been a good time to go in the style of HL and make it a runaway. What’s more, you’re given one of the scarce few music tracks when you get into the area and it’s soon completely drowned out by klaxons and the tram noise. I should’ve used the crossbow – my trip ended up being an affair of trading valuable (so I thought) contact grenades for kills – or health, if you go the route of using the assault rifle ammo that is most common in that area. Using the shotgun should be possible, but there’s only so much you can do when you’re stuck on a railcar with a low railing in front and no bits of the corridor to hide behind to speak of. Looks aside, the gameplay of this section compares pretty unfavorably to that of Half-Life’s “On a Rail” and even the train sections of the They Hunger trilogy. Not the worst rail ride in HL modding history, of course, but not great either. My favorite moment in the game? When you return to Nation City. Everything comes together – there’s a bit of tension since no enemies are around, the architecture is great, and the short music clip adds to the feeling of homecoming. It’s a shame this wasn’t sustained through the whole mod. Best HL mod I’ve ever played. Great textures, gameplay, creativity, quality, settings, storyline, ending, weapons, and continuiity from Poke646 – you’ll need to (re)play this first to get into the context and increase your enjoyment. I certainly needed to refresh my memory. Its already a while back that I played this, but I enjoyed is at much as the original game itself.. if not more – some stuff is really special and fun! seems a bit odd. The ending was also pretty cool. Play this mod now! The modders of this diamond are (or better said were) perfectionists, cause this mod (such as the original Poke646) is truly close to perfect! New textures, weapons everywhere WOW! Also the sound: scary, funny and simply fantastic, also for it’s quality.. did I mention the great soundtrack already?? One thing is disturbing me, it’s way too short! Compared to Poke646 it isn’t even 40% of it, am I right? Okay, I’ll make it short: this mod is epic, play it N-O-W !!!! 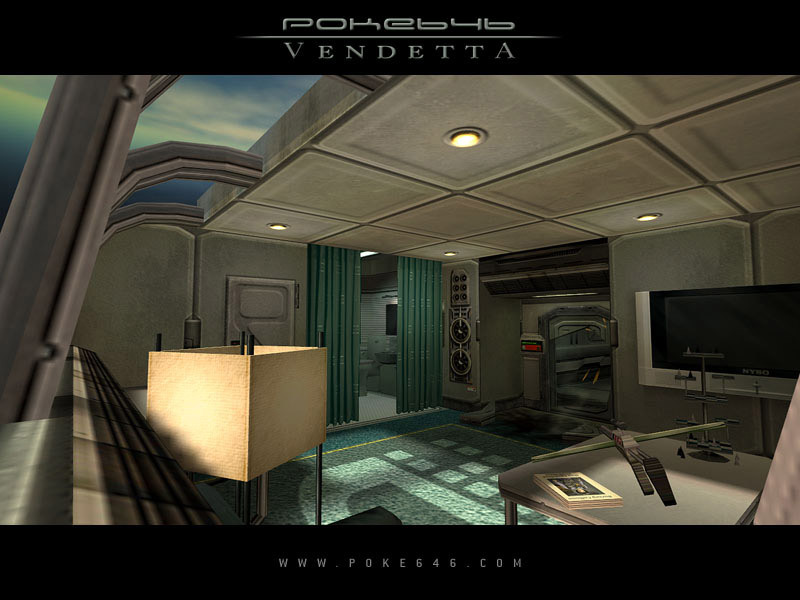 Originally announced and then promptly put on hiatus in 2002, Vendetta serves as a very competent bookend to the original Poke646. The aging graphics and lack of shiny bumpmapping effects barely matters because you’ll spend most of the time wondering if it’s really using the 8 year old game engine; oh, but it is! The game starts where Poke646 left off, with the player character Dr. Damien Reeves conveniently stranded on the alien borderworld Xen with a teleporter – that is to say, he’s not really stranded at all and promptly begins the quest for revenge on his faceless superiors. What follows is a satisfying chain of well designed and exquisitely detailed environments, punctuated by excellent setpieces with clever (though slightly familiar) gimmicks that keep the gameplay fresh. You’ll almost always know what to do next, and if you can’t figure it out, then it’s probably your own fault for not noticing a cracked metal grate or a newly opened passage. In between the fantastic setpieces, there’s plenty of running, gunning, and reading: yes, you’re going to be reading plenty of laptop screens and keypad codes. It’s really just another version of “get the red key to open the red door” from Doom. In theory, all of the screen reading is supposed to tell some additional back-story and allude to the internal moral struggles within the enemy ranks, except now the mechanic feels considerably more hackneyed since its debut in Vendetta’s predecessor. Combat is generally run of the mill, partly due to the overabundance of secondary grenades and ammunition if the player regularly breaks open the supply crates. The other problem is that the level design is sometimes confining and practically traps the grunts into corners, making them extremely vulnerable to a well-placed grenade, though this might have also been a conscious design decision. Purposefully or not, most players won’t find the combat to be very difficult at all, especially towards the endgame and the easily defeated boss. 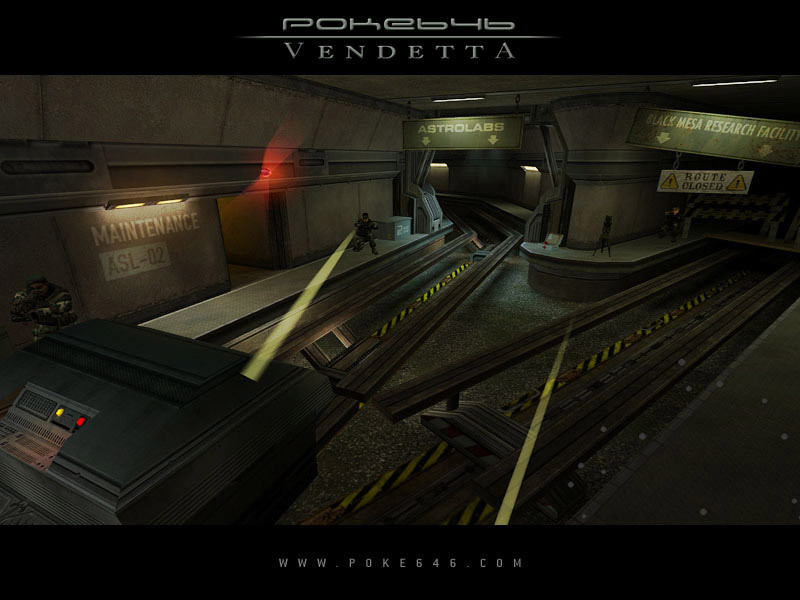 Some aspects of Vendetta are decidedly average when analyzed separately, especially in comparison to modern developments in game design. However, it is the combination and presentation of all these parts that elevate this mod above countless others. It’s nothing revolutionary, but Vendetta is the highly polished product of an eight-year long evolution in the Half-Life 1 design community. 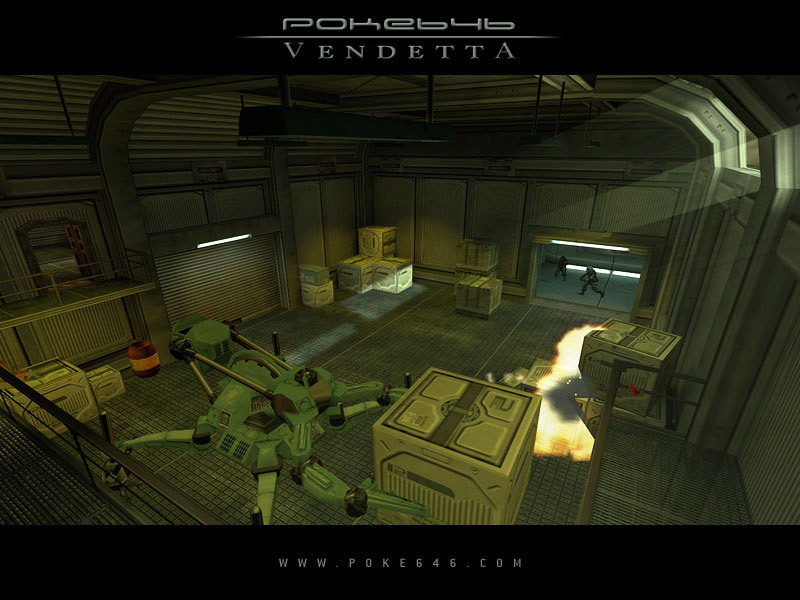 As someone else so eloquently put, “if Poke646 was the swan song of HL1 mods, then Vendetta is a very distinct voice from the grave.” Go play it. Now. This review is republished here by permission and was originally published Monday, 25th December, 2006 by Campaignjunkie. This review was originally posted on the Ten Four website, which is now offline. The full review is republished here by permission and more details can be found on the About page. Fantastic! An excellent, instantly classic release! Really pushes the boundaries of what I thought possible from HL, an edge-of-the-seat exciting adventure from start to finish. For me, it represents a vast improvement over the original Poke646 – it didn’t lose anything by being shorter, quite the opposite in fact. There were none of the extended wandering around doing nothing moments of the predecessor, a great improvement, and the pacing was spot-on throughout. Outstanding graphics and sounds, too (considering that it’s HL1) and a credible plot, with a generous & welcome sprinkling of humour to intersperse the violence & destruction. I dreaded seeing ultra-lethal “Robocop” again, but so long as [spoiler]you stay off the floor[/spoiler] it’s all good! The shotgun is fun too, but watch out – set up for primary fire only, which fires both barrels at once. First time I faced off with a soldier I attempted to altfire for a double barrelled blast – nothing! Except for my head being blown off, of course – tough lesson. Great to see a guest appearance from ol” dangly-sac Gonarch! Quite how it fitted through a portal, we’ll never know. In fact, I think the whole cast made an appearance, including a few of the Xen creatures cut from the original HL game, last seen in the likes of Missing Information, a welcome addition – greatly under used. I did have a major issue with HL:Source – the transition to map pv_orl04 always froze the game. Didn’t matter what graphics/sound settings I had (yes, followed the Poke646: Vendetta homepage FAQs) it hung relentlessly. The only way I could get past it was to reinstall the mod into non-Steam HL, at which point the transition worked perfectly. Anyone else come across this? Very short, but still quality compared to most others. Loved the story! A very nice part 2 that always deserves a play. The different teleport locations we get to see are magnificent and the space base is one of the best I’ve seen in any fps. It ends hl1 style and left me wanting a part 3. I think this is a very worthy second part of this story. The sounds and visuals were so far from half life 1 style, I was just amazed! One thing I forgot to mention in the prior mod’s review, I *love* the way the pipe swinging slows you down and makes you breathe hard. That is just a marvelous little addition. It was a bit too short, but I think it had most of the trappings of the first, and pretty tough fights overall. It was a bit more of a health scramble, I spent much more of the game at minimal health running for my life, than in the prior game. So overall, a definite must play, and a worthy sequel, but don’t expect a LOT because it is a bit short. It’s shorter than Poke646, but epic and cool! Well we had to wait a solid 5 years for the promised sequel to Poke646. 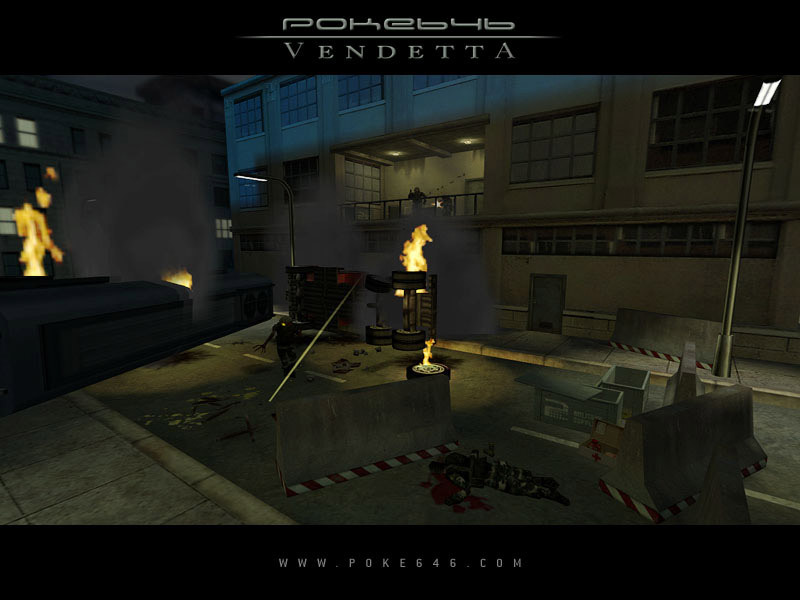 Vendetta was teased (including screenshots and even a trailer) soon after Poke646’s release, but then promptly fell into limbo for years after that with no news. 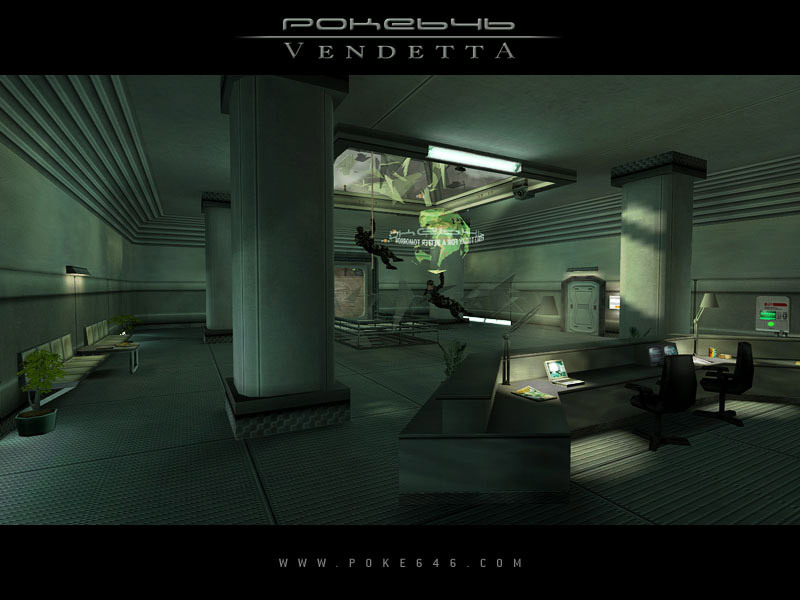 Then suddenly in late 2006, Vendetta was released. It’s a damn good follow-up to the original classic that is Poke646. In my opinion, it doesn’t quite hold up to the original but is still a solid recommendation. 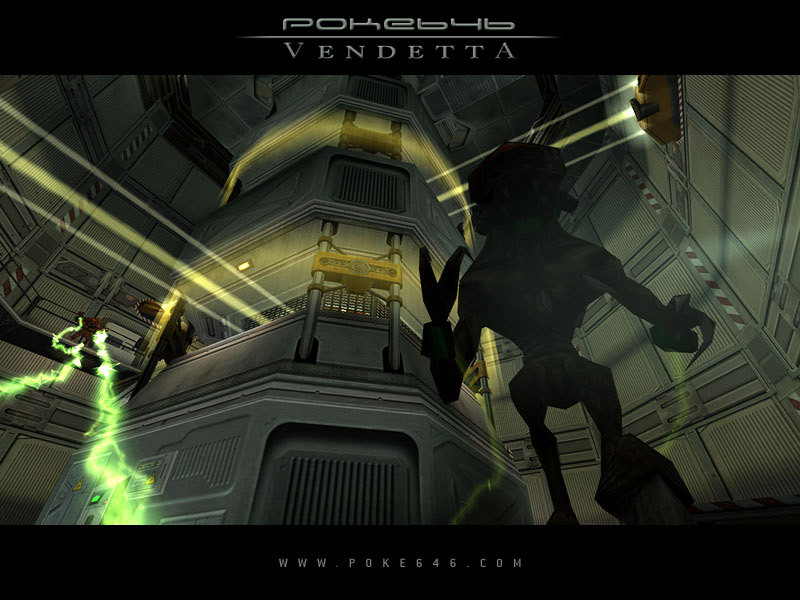 Vendetta opens right where Poke left off, with you stranded on Xen having saved Nation City. Thankfully you have the know-how and materials to just build a teleporter to leave. 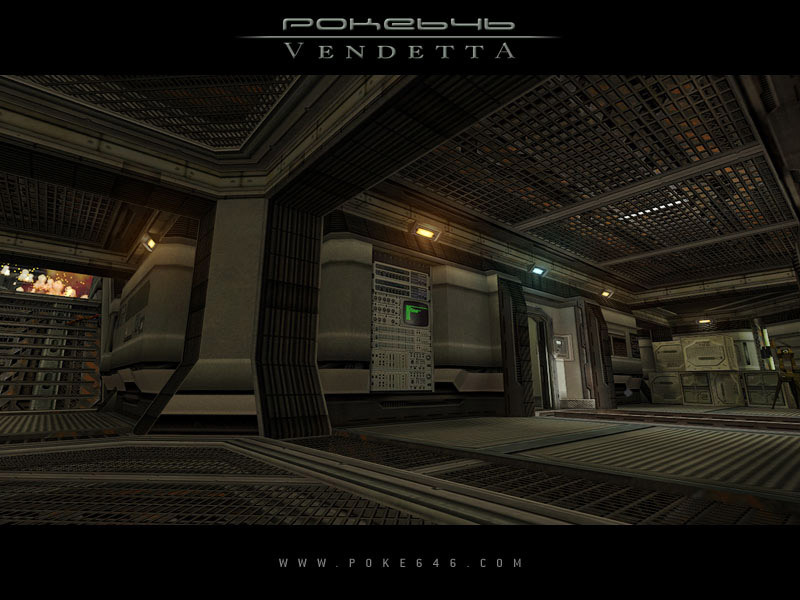 The first main section of Vendetta takes place on a high tech space station in Earth orbit. And it’s some of the best-looking Goldsource mapping I’ve seen. The theme is quite sci-fi inspired with lots of metal and dramatic lighting, and it looks fantastic. After the space station section, the other 2 main sections of Vendetta are a bit of a letdown visually. There’s nothing wrong with these parts of the game – in fact, on their own they are nicely designed and they look great – but you’re essentially revisiting areas from Poke646 so it feels a little too familiar. The maps themselves are quite different than Poke’s, but they look similar and have a similar feel. 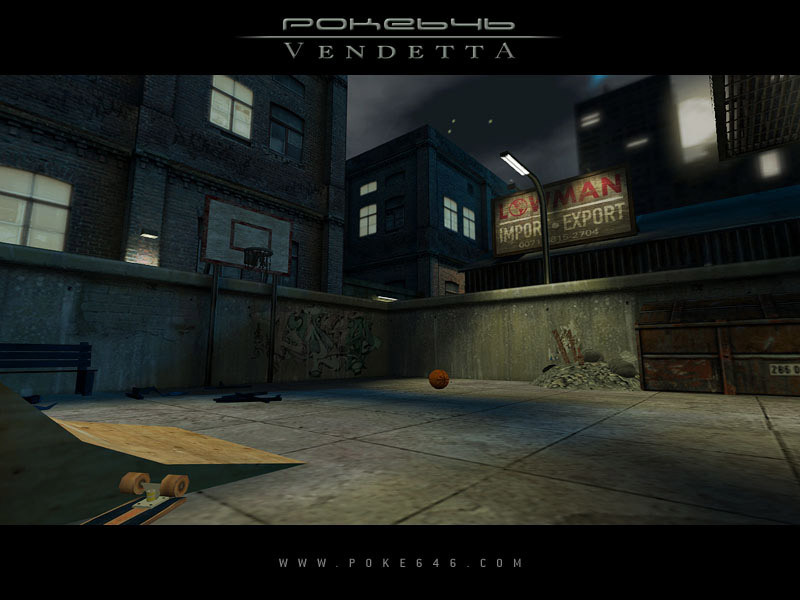 In general, most of Vendetta feels a little bit like it’s made from maps that were cut from Poke646. My only other criticism is that Vendetta is a little too easy. If you explore and check all the crates, you should be pretty well equipped to handle everything that’s thrown at you with ease. Much of the ease comes from the vast number of contact grenades you get throughout the mod (and thankfully a machine gun to use them in, unlike Poke). But don’t let me dampen the great experience that is Poke 646: Vendetta. It’s a gorgeous, enjoyable follow-up to Poke646 that has a feel of its own. Don’t miss it. Just like the first one, I believe that this mod is a must for everyone. The visuals are beyond stunning. This is one of the most visually appealing mods of the GoldSrc engine. Everything from the models, to the textures and to the animations, this mod is a joy to look at. The mapping is just as great as Poke646 and the spaceship setting is amazing. I want to see more of that. The combat, like Unq said, is easier compared to the first mod, but it’s not that big of an issue. The new assault rifle was awesome and it was really fun to use. In my review for the first mod, I forgot to mention the amazing custom soundtrack. It captures every moment of this mod perfectly whenever it plays and makes the atmosphere even cooler. Overall, like I said for the 1st one, play this mod right now. Make sure you play the first Poke646 though so you can understand the plot. The only issue I have is the length of this mod, which is only the half of the first mod. Its better than the first Poke646. And shorter of course. We want to simplify your apartment search. Apartment hunting can be rent in phoenix az overwhelming, but we realized that finding a new home isn’t about looking at every apartment listing, it’s about looking at the best ones. Quality, not quantity. With the powers of math and technology combined, we created RentHop, a site that sorts listings by quality. Shorter but as well done as its first part, Poke646 Vendetta give us even better map’s (the Xen labs are pretty cool), and a cool story with you taking your revenge against your former allies, there is a particular scene well-designed in the end where you see your nemesis briefing his comrades for hi plan “nuke’em all”. Part 1 and Part 2 show us that the dev’s knew exactly what they wanted to, and where they wanted to go, I think Poke646, one of the most ambitious modding projects in the giant pool of so many dead mod’s because of being too big for what they could handle, has to be quietly observed by other teams to see what’s be done. I enjoyed this more than the original. The story was harder for me to get immersed in than ever, but really it’s just an excuse to get you into more maps and playing more poke. Still, the environmental storytelling was far stronger this time, with different sections of maps serving purposes in the world. Going through the crew quarters was one of the highlights for me. I wanted to learn more about what their rooms looked like and what their lives aboard were like. Interesting additional mechanics like the security cameras and combat aboard the tram held up the later levels while the earlier levels are carried by the interesting level design. I didn’t like the original Poke646. However, I ended up loving this. Its half as long but twice as good. Poke646 did alot of things wrong. Meanwhile everything Poke646 did wrong, Poke646 Vendetta does right.